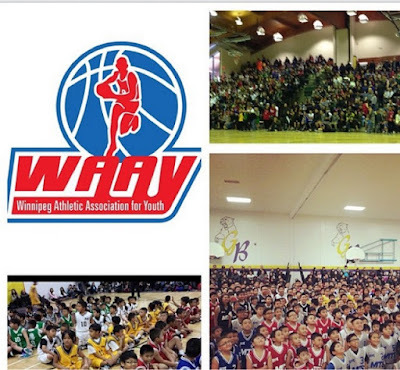 The Winnipeg Athletic Association for Youth (WAAY) Filipino basketball league has announced its 2018-19 registration dates for this upcoming basketball season for boys and girls ages 5-15. The season operates November to March. Player registration fee will be announced on their website by early August. This includes uniform (customized top and bottom) to keep, practice once a week and trophy at the end of the season. An amazing opening and closing ceremony is also included. Kidsport Manitoba applications will be available for those parents that meet the criteria, visit www.kidsportmanitoba.ca for further info. We are in need of basketball coaches this season, please indicate this on the registration sheet.